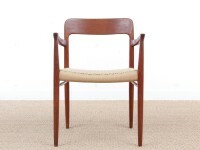 Niels O. Møller is an important representative of Danish postwar design and had always been committed to excellence and the use of the finest materials. 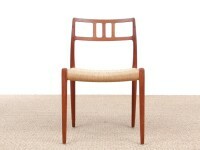 In 1939 he finished his apprenticeship as a cabinetmaker and continued his studies at the Århus School of Design. 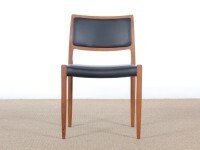 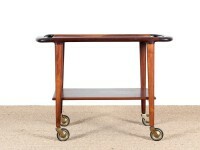 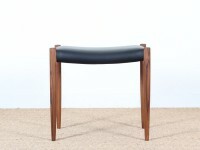 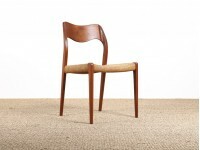 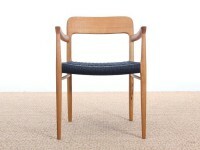 In 1944, he founded his own furniture factory, JL Møllers Mobelfabrik and becomes independent designer and producer. 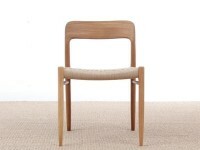 Along with a production of classical tradition furniture, Niels Møller worked for two years in a small workshop of the factory to design his first chair: N ° 1. 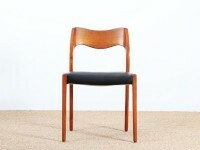 Therefore, the company will produce all models of O Niels Møller. 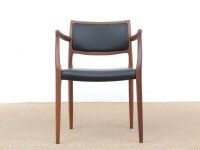 Over the years JL Møllers Mobelfabrik grew and began to export to Germany, the US and Japan. 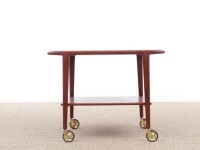 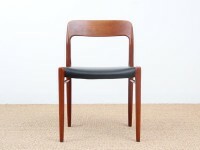 In 1981, the company was awarded with a "Dansk MøbelIndustri Furniture Prize" with a special mention for its ability to combine quality craftsmanship and modern production. 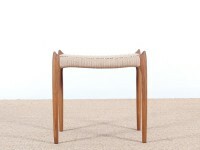 Niels O. Møller remains famous for his elegant teak and rosewood furniture as the iconic series 78, a model of lightness and purity. 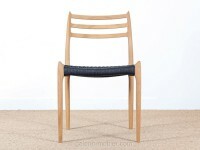 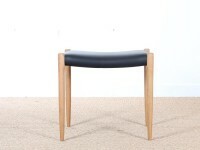 It is a reference of Scandinavian design. 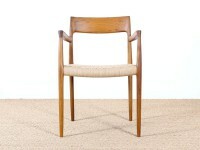 Today, JL Møllers remains family property and continues to produce all models of O Niels Møller. 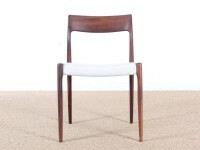 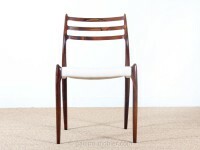 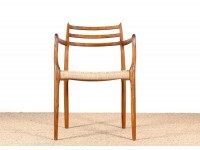 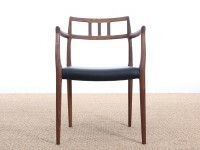 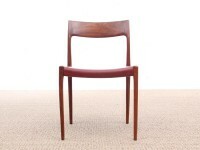 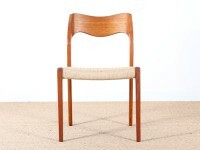 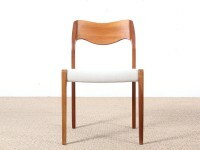 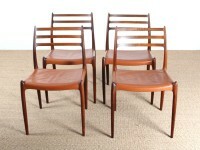 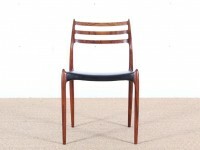 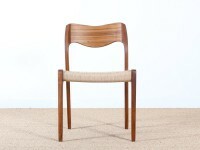 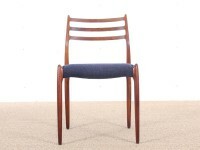 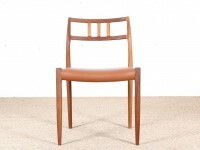 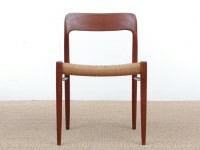 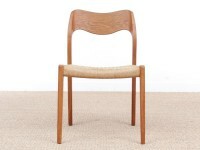 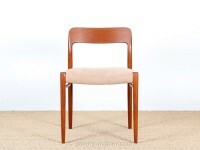 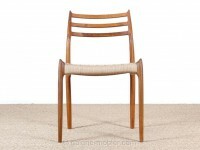 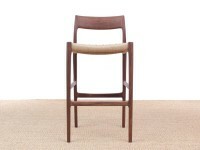 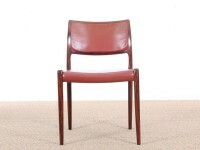 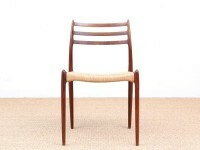 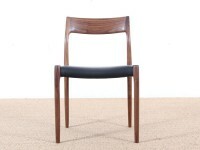 Set of 4 Scandinavian rosewood chairs. 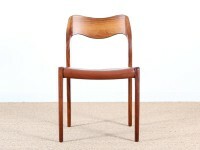 Model 78. 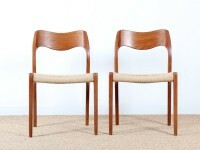 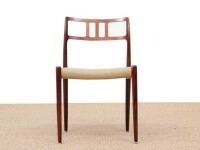 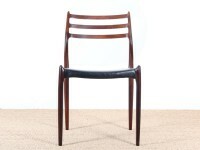 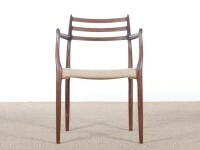 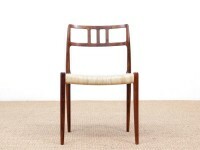 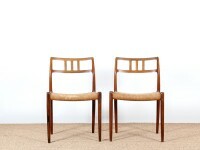 Pair of Scandinavian rosewood chairs. 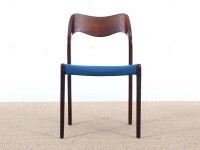 Model 79. 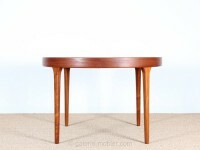 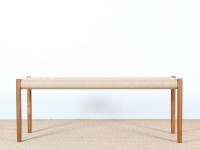 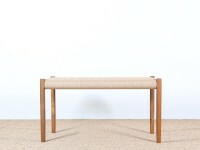 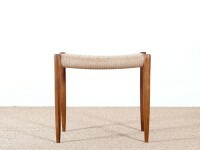 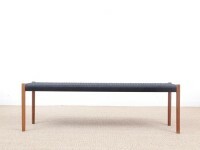 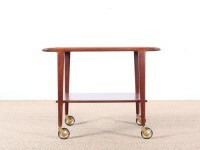 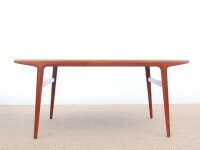 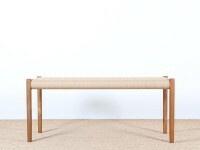 Mid-Century modern dining table in teak by Niels Møller 6/10 seats.